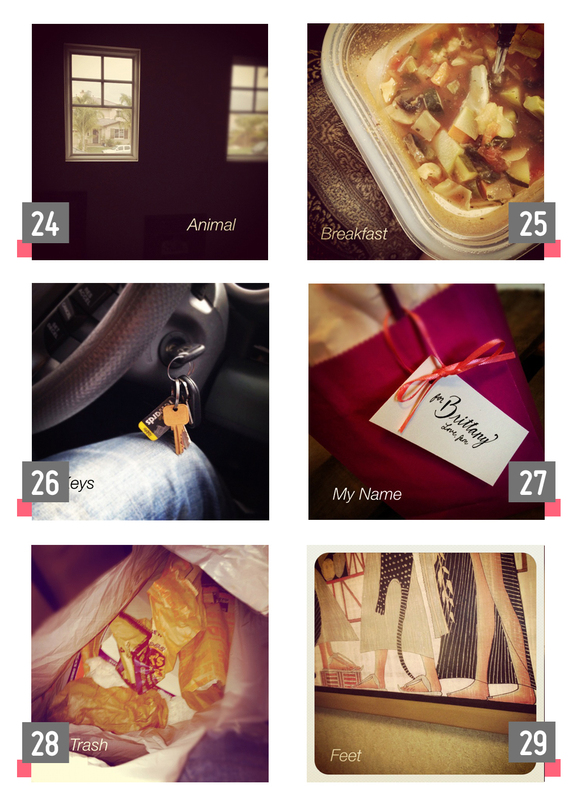 For the first time ever I did not complete all the photos for Photo A Day! The last two were “toy” and “somewhere I relax” and well, neither of those resonated with long days at the BBQ competition in Vegas. I am such the rebel! Anyway, here are some of the other photos from the week… the weekend included an intrusion by a real live bird into our home that proceeded to reign terror against our upstairs windows (24). After that traumatic experience, Sunday lent itself to a nice little headache (25). Boo. Monday I got to drive with Andy up to our co-packers to pick up our Jalapeno Peach Jam and our new Competition Blend BBQ Rub (26). Dinner with friends to celebrate a birthday on Tuesday (27) and then driving to Vegas and staying at the Luxor Wednesday (28) and Thursday (29). Friday and Saturday, those pesky last days of March, were spent up on my feet selling our BBQ products to the Vegas public. Tired doesn’t cover how I was feeling when we got home last night but the wonders of a great night sleep worked their charm on me and I am feeling better than ever! Bring it on April! 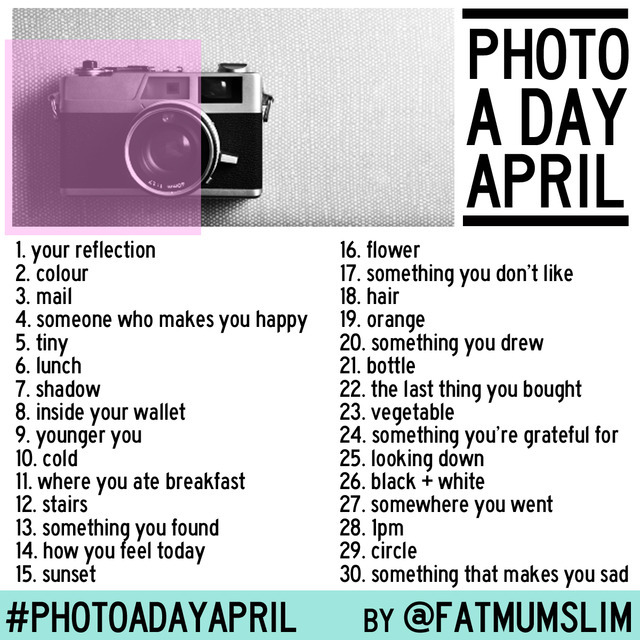 Want to join in for April? Here’s the list from Fat Mum Slim.